More Fishing. Clearly, I am an Idiot. 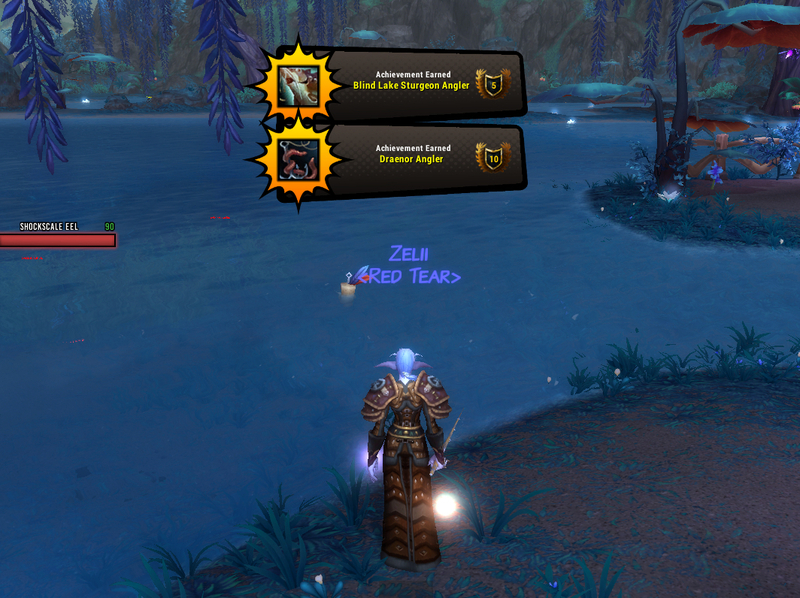 I got Draenor Angler, because I wanted to catch the big fishies in my garrison pond (so I never have to go out and fish elsewhere again, like I just did for the achievement). After that, I wasn’t too enthused about tracking down Nat Pagle, but I did have 24/25 followers, so I could use another one. I had to chase him to Pandaria where I met this charming fellow. Then Nat sends me out to every zone to catch fish, because I didn’t JUST do that for Draenor Angler. Whatever, jerk. Fishing (in hordie territory, in a swamp that looks like pee) with my good luck charm, Pepe, and my companion crab, Pinchington. Now he’s my follower. 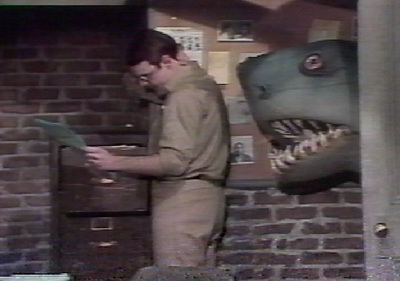 He’s not the most useful guy on the block, but he sells a land shark. Guys, LAND SHARK. If you have no idea what I’m talking about, shut up, you’re a fetus. Last point is fishing quests. 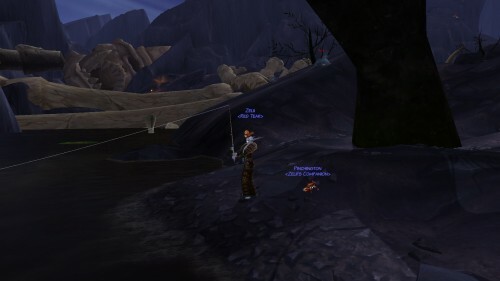 I was doing the fishing daily for my garrison pretty regularly while I was leveling up fishing. However, even when I’m maxed out, I still do it because I get 2-5 primals out of the backpack of goodies – and it costs me no time. 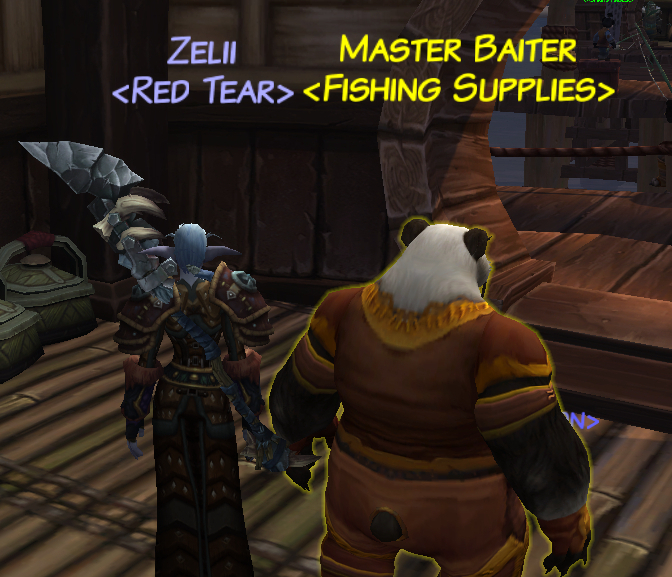 See, I never gutted those fishies that I grabbed for Draenor Angler. They’re sitting in my bank. So when I get a quest for Fat Finless Blimper Eggs, I go to my bank, gut the appropriate fish (usually twice) and then hand in the eggs to doofy when I return to my garrison. Easysauce. I also got Pinchington the crab, my new favorite pet, out of one of the packs. And you can send those fish to level 90+ alts who don’t have fishing maxed, so that they can do the fishing quest with no effort and get 15 points of fishing every day. Oooo that is a plan. I don’t have any relevant alts at the moment because slogging through Draenor is rather time-consuming. I don’t feel like this expansion is very alt-friendly. If I feel generous, I could give the un-gutted fishies to thehusband. I guess.